In a bowl, mix the diced bread, chopped herbs, chopped onion and diced tomato. 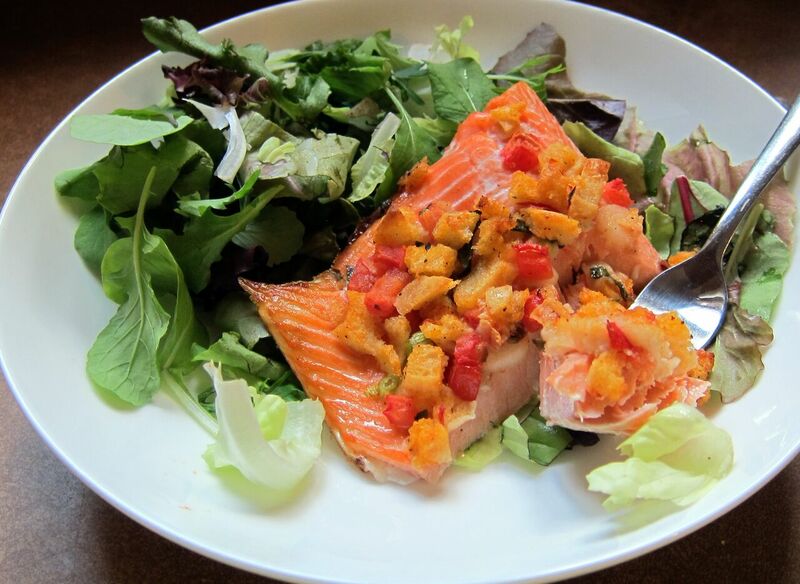 Lay the whole salmon fillet onto a baking sheet. Melt the butter and toss with the bread and herbs. Allow to stand a few moments. Spread evenly on top of the salmon. 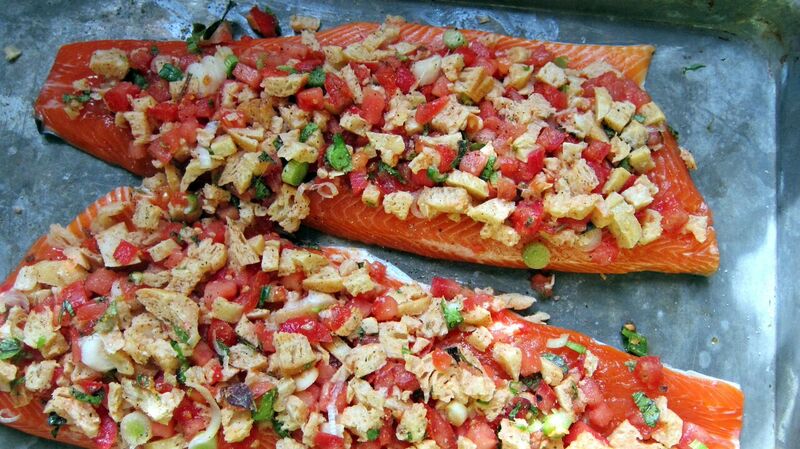 Bake in the preheated oven about 20 minutes or until the salmon flakes. This entry was posted in Lunch and Dinner Entrees, Swiss Woods Bed and Breakfast Inn, Vegetables and Potatoes by admin. Bookmark the permalink.